Loving daughter of Jaime and Socorro nee Garcia. 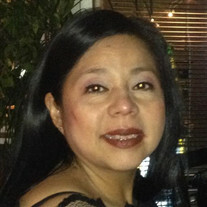 Cherished sister of Maria C. (Jose) Ortega and Jamie (Luis) Favela-Cano. The family of Ms. Indira L. Favela created this Life Tributes page to make it easy to share your memories.